Sandy Springs, located north of Atlanta, was named after the areas historically significant spring. The region was previously known as Itawa/ Hightower/ Shallowford Trail and traveled by Native Americans, buffalo and later on by the British traders which made the place a main migration trail for Colonial Europeans. It was the spring's freshwater bubbling from the sandy ground that had sustained the place's early inhabitants which is now located in the Sandy Springs Circle. These days the springs are continuously producing water at about 10 gallons per minute. Sandy Springs is the sixth largest city in Georgia with an estimated population of 98,000. The city just north of Atlanta metropolis and offers a close access to all city excitements with the traditional charms from the South to both residents and guests. The city is famous for its rich delights such as 11 parks ready for exploration and adventures, 20 miles of breathtaking shorelines by the Chattahoochee River, a soaring economy and a community capable of supporting all of its residents and visitors' demands, and even more. Come and explore the city's exquisite beauty ornamented by best hotels, unique festive events and a one of a kind place where you enjoy with fascination of such great outdoor recreation areas. From simple to classy dining and shopping options, Sandy Spring always leads as it has the most accessible and convenient transportation. To provide its residents a life with much ease including various service and highest in quality healthcare. A city born in water, Sandy Springs is the best place to take a solitary walk. It is a safe and beautiful place to live and play with your children. There are plenty of corners for all your sports activities too. Opportunities for recreation in Sandy Springs, might it be on land or water, are just overwhelming. That is why there are lots of families opting to live in this peaceful but fascinating place. A city proud for its dedication to nature, Sandy Springs continues to develop and protect the communities green environment. Nature trails, sports facilities, canopies from beautiful trees, and natural wonders are just within reach in Sandy Springs. There are lots of enchanting outdoor activities you can do around Sandy Springs with resources like the Big Trees Forest Preserve offering a 1.5 miles trail, bridges and creeks best for relaxation and stretching with nature. There are lots of programs developed supporting health and environmentally aimed initiatives to make a cleaner and greener community. 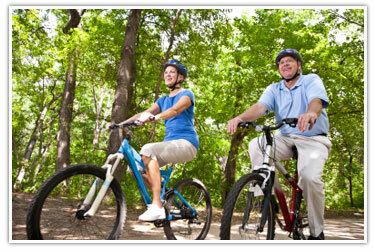 All of its sidewalks, bicycle range and trails are inviting pleasures for residents and guests to explore. Sandy Springs offers a great selection of events, activities and sceneries to keep everyone entertained. The region has so much to offer that a single visit wouldn't be enough to experience all of the city's richness. For those wishing to take full advantage of all that Sandy Springs, GA has to offer year round, Southland Custom Homes specializes in new homes in Atlanta. Southland Custom Homes is an on-your-land custom home builder, meaning they build the home of your dreams in the location of your choice! With over 100 floorplan options to choose from and an array of top-of-the-line interior appointments, Southland Custom Homes is among the premier custom home builders in Sandy Springs, GA. In addition to providing a huge selection of plan options, Southland Custom Homes will even work with new homebuyers to alter a specific floorplan so that it is exactly what the buyer wants. If you are looking for a custom builder in Sandy Springs, GA, Southland Custom Homes is sure to meet and exceed your expectations. Southland Custom Homes, a home builder in Sandy Springs, GA has model showrooms located in Macon (3956 Bloomfield Village Drive, Macon, GA 31206), Dawsonville (98 Bethel Drive, Dawsonville, GA 3053), and Marietta (265 N. Cobb PKWY, Marietta, GA 30062). Stop by or call us today at 1-866-56-BUILD* to see all that Southland has to offer!